Barbagallo Raceway has released details of plans to complete a full resurface of the circuit ahead of next year’s Pirtek Perth SuperNight. As revealed by Speedcafe.com earlier this year, the Western Australian circuit will commence a project to resurface the 2.42km Perth track in January, which is understood to cost in the region of $1 million. The circuit is regarded as one of the most abrasive and brutal on tyres on the Supercars calendar. Circuit operator WA Sporting Car Club (WASCC) has today confirmed that plans for the circuit resurfacing have been finalised with the venue to be closed for a month to complete the works ahead of the inaugural Perth SuperNight May 2-4. The last time the venue undertook such a project was back in 2003/2004. Utilising the latest Stone Mastic Asphalt (SMA) technology, the new surface will be laid by Asphaltech Contracting and feature a smaller, smoother aggregate designed to enhance grip and tyre longevity. 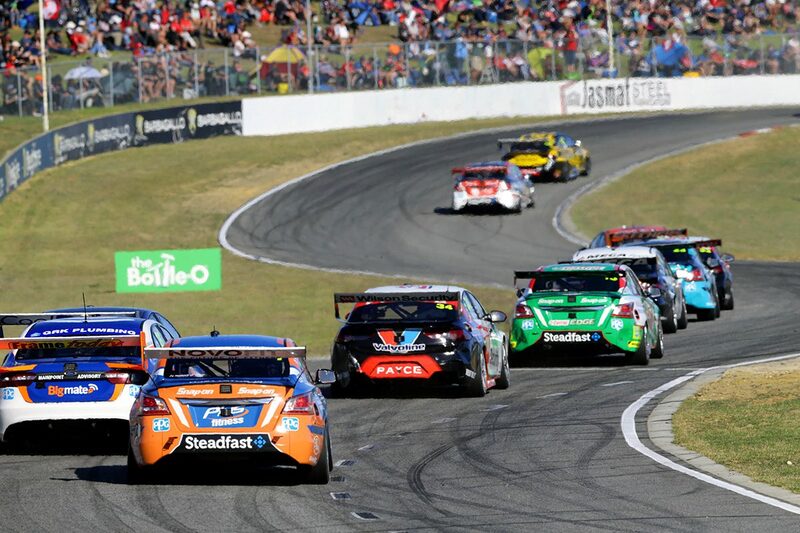 It is expected the new surface will see lap records tumble with the Supercars benchmark currently held by Jason Bright, who posted a 55.94s in 2004. “This project has been 12 months in planning” said WASCC President Russell Sewell. The investment arrives after the circuit received news that Wanneroo Council has tabled an option to extend the lease of the track by a further 11 years at the end of the existing 10-year term. It also follows a move to rebrand the circuit to Barbagallo Wanneroo Raceway which incorporates the track’s original Wanneroo Raceway name it used until 1992. The circuit has also confirmed that it will install a new section of track at Turn 2 specifically for motorcycle use which has paved the way for two wheel racing to return to the venue. WA Sporting Car Club states that the section of track is designed to slow speeds in between Turn 2 and 4. Motorcycle racing had been banned at the circuit in 2016 following a series of deaths. “Clearly, this is a major expenditure by the WASCC” added Sewell. “However, ours is a not-for-profit organisation dedicated to running motor racing in WA. “I can think of no better way to mark 50 years at the raceway the club built as well as the WASCC’s 90th birthday than to invest in our sport’s bright future. The circuit is due to host a special gala race meeting on March 2-3, marking 50 years to the day of the track’s official opening. Next year will see Perth host its first Supercars night race which will include racing on Friday (120km) and Saturday (200km) nights. Supercars staff have already visited the venue to see it in operation under lights although further tests are expected to be completed in the new year.